Now that’s something I don’t do – log the number of hours spent at each observing session. I need to start using more of my currently under-utilized small scopes – with apertures ranging from 2″ to 4.5″ – to see how many deep-sky objects these scopes are capable of picking up, especially away from urban (white-zone) skies. 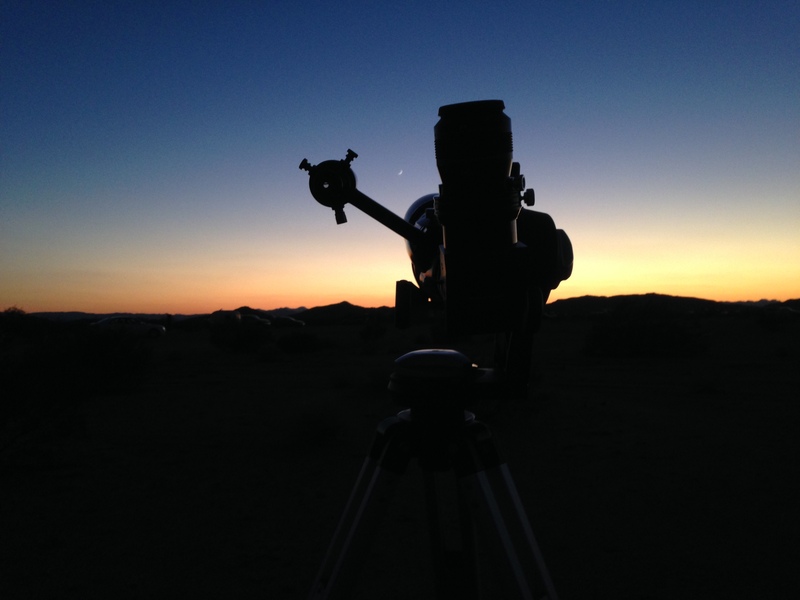 Bringing the Orion ST80 to the All-Arizona Star Party was a good start. One of my favorite telescopes was the Astroscan 2001 by Edmund Scientific. I observed many of the messier objects for the first time through that telescope.